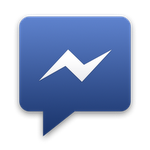 Facebook Messenger, an app the social giant says provides "a faster way to message," got a significant update today, bringing it up to version 1.8. The update, besides promising to speed up app loading, navigating (by way of some small UI tweaks), and message sending, contains several new features that are worth mentioning. Among these new features is the ability to switch between conversations using handy (dismissible) in-app notification bars which appear any time a friend sends you a message in another conversation.